ABG Realty is committed to providing superior service to owners and tenants of commercial real estate. This commitment is assured by over two decades of Property Management experience. In addition to relieving you of the day-to-day requirements and duties of property management, ABG will work with you to develop a management plan that is designed to help you meet both short and long-term goals. Our management team at ABG Realty understands that different properties require diverse and customized approaches. Our success in property management lies in our ability to be flexible and innovative, as we tailor our services to the needs of each individual client. Even the most well managed properties cannot maximize value without an effective marketing program. 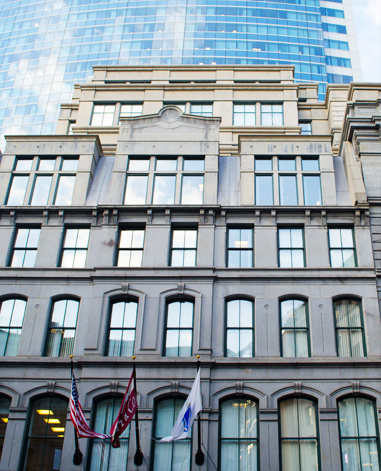 ABG Realty enjoys a particularly favorable advantage in this regard, as we possess an intimate knowledge of the Greater Boston area, as well as its submarkets. In addition, we maintain a staff that possesses the expertise to create real estate oriented ad campaigns, including direct mail, print and other media venues. In close collaboration with our clients, we create individual marketing plans, with cost-effective advertising. Creating value also includes minimizing vacancies and maximizing potential income – value which typically exceeds ABG’s management fees. ABG Realty will professionally manage every aspect of the landlord-tenant relationship, beyond the marketing and leasing process; we will adeptly approach negotiations and contract execution with the ultimate sense of fiduciary responsibility. ABG will develop and implement a budget, handle property accounting including CAM reconciliation, contract all maintenance and capital improvements, as well as general bookkeeping and maintaining insurance policies.